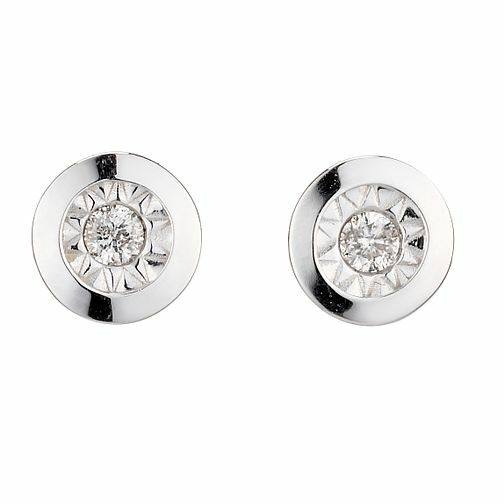 A dazzling pair of 9ct white gold stud earrings set with dazzling diamonds. An elegant gift for any occasion. 9ct White Gold Diamond Stud Earrings is rated 5.0 out of 5 by 1. Rated 5 out of 5 by Anonymous from Fantastic jewellery This earrings the best and the most beautiful earrings what I ever had.lts look amazing,shiney and it's looking good with every outfit,even if I'm wearing elegant or I wear sporty clothing.I' m very happy with that.And really good quality,and the sizes of perfect.